William P. King, Ph.D. is the Ralph A. Andersen Endowed Chair Department of Mechanical Science and Engineering at the University of Illinois Urbana-Champaign. He holds courtesy appointments in the Department of Electrical and Computer Engineering, and the Department of Materials Science and Engineering. His research focuses on advanced manufacturing, nanotechnology, heat transfer, and advanced materials. 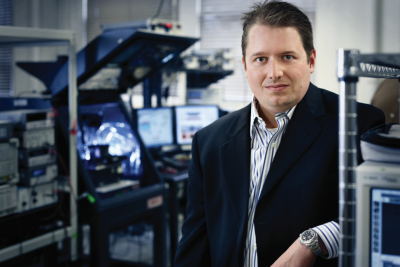 Dr. King is currently the Chief Scientist at Fast Radius, a company that sells production-grade additive manufacturing. As Chief Scientist, he is developing the technology for scalable production based on additive manufacturing. He also helps companies to understand how to leverage additive manufacturing for production applications. Dr. King was the founding Chief Technology Officer at the Digital Manufacturing and Design Innovation Institute (DMDII) at UI LABS in Chicago, IL. DMDII is one of the first institutes in the U.S. National Network for Manufacturing Innovation. Dr. King was the architect of the UI LABS DMDII proposal, which brought together the world’s best manufacturing companies, hundreds of small manufacturing businesses, and 30 universities. At DMDII, he led the development of the technology investment plan and launched a $100M portfolio of technology projects. Dr. King received a Ph.D. from Stanford University and completed the Program for Leadership Development at Harvard Business School. During 2007-2014, Dr. King served on the Defense Sciences Research Council, a group that advised DARPA. During the period 2012-2014, he served as Associate Chair. Dr. King is the winner of the CAREER award from the National Science Foundation (2003), the Presidential Early Career Award for Scientists and Engineers from the Department of Energy and the White House (2005), and the Young Investigator Award from the Office of Naval Research (2007). He was named Young Manufacturing Engineer by the Society of Manufacturing Engineers (2006). In 2006, Technology Review Magazine named him one of the people under the age of 35 whose innovations are likely to change the world. He is the winner of the 2009 ASME Bergles-Rohsenow Award for Young Investigator in Heat Transfer. Dr. King has twice won the R&D 100 Award. In 2013 he won the ASME Gustus-Larson Award for accomplishment in Mechanical Engineering. Dr. King has published 225 journal articles and holds 20 patents. He is a Fellow of the American Society of Mechanical Engineers, American Association for the Advancement of Science, and the American Physical Society. Sihan Chen received his B.S. degree in Thermal Engineering from Tsinghua University in July 2013. His undergraduate research area was micro/nanoscale phase change heat transfer. He joined Professor King’s group in the Fall of 2013, where he will be working on combining AFM-based tDPN (thermal dip-pen nano lithography) and micro-fabrication techniques to create silicon-based MEMS devices and circuits. Hyunkyu Moon received B.S. degrees in Mechanical Engineering from Hanyang University with highest honors in August 2013. His undergraduate studies was focused on the control system design. He joined Professor King’s group in the Fall of 2013, where he will be focusing on material property measurement applications using Lorentz force oscillated heated cantilevers. Tianyu Yang received her B.S. degree in Engineering Mechanics and Aerospace Engineering from Tsinghua University in July 2016. She is interested in Fluid Mechanics and Thermal Sciences, especially at the micro/nano scale. She joined Professor King's group in Fall 2016. Her current work focuses on the development of efficient thermal switches and buffers. Tianyu is co-advised by Professor Nenad Miljkovic. Davis McGregor received his B.S. degree in Mechanical Engineering from the University of Arizona in May 2017. His undergraduate research focused on developing a micro-piezoelectric OCT/MPM endoscope for early detection of serous tubal intraepithelial carcinoma. He joined Professor King's group in the Fall of 2017, where he will be focusing on developing architected materials with novel properties. Davis is co-advised by Professor Sameh Tawfick. Mehmet Yalcin Aydin received his B.S. degrees in Mechanical Engineering and Industrial Engineering from Koç University (Turkey) with salutatorian ranking in 2018. His undergraduate studies were focused on monolithic MEMS fabrication and 3D-Printing of paste-like materials. 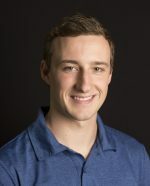 He joined Professor King’s group in the Fall of 2018, where he will be focusing on design and fabrication of microfluidic devices. He is an active member of Technology Entrepreneurship Center Student Advisory Board and Graduate MechSE Students Organization. Elise Corbin received the Ph.D. degree from the University of Illinois in 2013. Her dissertation was “Detection of Mass, Growth Rate, and Stiffness of Single Breast Cancer Cells using Micromechanical Sensors.” She is currently on faculty at University of Delaware. Beomjin Kwon received the Ph.D. degree from the University of Illinois in 2013. His dissertation was “Development of Microcantilever Mid-Infrared Detectors and Sources and their Application in Infrared Spectroscopy.” He is currently on faculty at Arizona State University. Huan Hu received the Ph.D. degree in Electrical Engineering from the University of Illinois in 2014. His dissertation was, “Tip-based Nanofabrication for Nanoelectromechanical Systems.” He is currently on faculty at Zhejiang University. Andrew Cannon received the Ph.D. degree from the University of Illinois in 2009. His dissertation was “Investigating Wetting Characteristics on Microstructured Surfaces for Superhydrophobicity and Metal Microcasting.” He is currently with 1900 Engineering, a company that he founded. Joseph L. Charest received the Ph.D. degree from Georgia Institute of Technology in 2007. His dissertation was “Topographic and Chemical Patterning of Cell-Surface Interfaces to Influence Cellular Functions.” He is currently with Draper Labs. Elise Corbin received the Ph.D. degree from the University of Illinois in 2013. Her dissertation was “Detection of Mass, Growth Rate, and Stiffness of Single Breast Cancer Cells using Micromechanical Sensors.” She is currently a postdoc at University of Pennsylvania. Jonathan Felts received the Ph.D. degree from the University of Illinois in 2013. His dissertation was “Tip-Based Nanomanufacturing and Metrology of Heterogeneous Nanostructures.” He is currently on the faculty at Texas A&M University. Patrick Fletcher received the Ph.D. degree from the University of Illinois in 2011. His dissertation was “Electro-Thermal Nanoprobes for Nanometrology and Nanofabrication.” He is currently with Seagate. Kyle Grosse received the Ph.D. degree in Mechanical Engineering from the University of Illinois in 2014. His dissertation was, “Nanometer-Scale Temperature Measurements of Phase Charge Memory and Carbon Nanomaterials.” He is currently with the Raytheon Company. Siva Gurrum received the Ph.D. degree from the Georgia Institute of Technology in 2005. 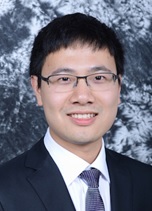 His dissertation was “Compact Models for Interconnect-level Thermal Management.” He is currently with Texas Instruments. Huan Hu received the Ph.D. degree in Electrical Engineering from the University of Illinois in 2014. His dissertation was, “Tip-based Nanofabrication for Nanoelectromechanical Systems.” He is currently with IBM Research. Hoe Joon Kim received the Ph.D. degree from the University of Illinois in 2015. 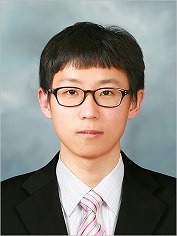 His dissertation was “Advanced Materials Integration and Thermal Operation of Heated Microcantilevers and Microcantilever Arrays.” He is currently on the faculty in the Department of Robotics Engineering at Daegu Gyeongbuk Institute Of Science and Technology (DGIST). Beomjin Kwon received the Ph.D. degree from the University of Illinois in 2013. His dissertation was “Development of Microcantilever Mid-Infrared Detectors and Sources and their Application in Infrared Spectroscopy.” He is currently with the Korea Institute of Science and Technology. Jungchul Lee received the Ph.D. degree from the Georgia Institute of Technology in 2007. His dissertation was “Fabrication, Characterization, and Application of Multifunctional Microcantilever Heaters.” He is currently on the faculty at Sogang University. Nicholas Maniscalco received the Ph.D. degree in Mechanical Engineering from the University of Illinois in 2014. His dissertation was “Design and Performance Characterization of High Power Density Air-Cooled Compact Condenser Heat Exchangers.” He is currently with the Raytheon Company. Brent A. Nelson received the Ph.D. from the Georgia Institute of Technology in 2007. His dissertation was “Nanoscale Thermal Processing using a Heated Atomic Force Microscope Cantilever Tip.” He is currently on the faculty of the Department of Mechanical Engineering at Northern Arizona University. Sezer Ozerinc received the Ph.D. degree from the University of Illinois in 2015. His dissertation was “Microscale Mechanical Characterization in Extreme Environments.” He is currently on the faculty at Middle East Technical University. James Pikul received the Ph.D. degree from the University of Illinois in 2015. 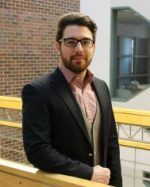 His dissertation was “Design and Fabrication of Higher Power Microbatteries and High Specific Strength Cellular Solids from Bicontinuous Microporous Hierarchical Materials.“ He is currently on the faculty in the Department of Mechanical Engineering and Applied Mechanics at University of Pennsylvania. Natalya Privorotskaya received the Ph.D. degree from the University of Illinois in 2009. Her dissertation was “Microcantilever Sensors for Biochemical Detection and Analysis.” She is currently with Intel. Matt Rosenberger received the Ph.D. degree from University of Illinois in 2016. His dissertation was “Probing local thermal, mechanical, and optical properties utilizing dynamic cantilever response in contact mode atomic force microscopy.” He is currently a postdoc at U.S. Naval Research Laboratory. Harry Rowland received the Ph.D. degree from the Georgia Institute of Technology in 2007. His dissertation was “Thermomechanical Manufacturing of Polymer Microstructures and Nanostructures.” He is currently at Endotrinix Inc., a biomedical device company that he founded. Patricia Weisensee receive the Ph.D. degree from the University of Illinois in 2016. Her dissertation was “Droplet interactions with micro-and nanostructured surfaces for advanced heat transfer applications.” She is currently on the faculty in the Department of Mechanical Engineering and Materials Science at Washington University in St. Louis. Mete Bakir received the M.S. degree from the University of Illinois in 2014. Andrew T. Gardner received the M.S. degree from the University of Illinois in 2008. Tanya L. (Wright) Haberman received the M.S. degree from the Georgia Institute of Technology in 2005. Her thesis was “Fabrication and Testing of Heated Atomic Force Microscope Cantilevers.” She is currently with Southwest Research Institute. Joseph Liu received the M.S. degree from the University of Illinois in 2013. This thesis was “Heated Atomic Force Microscope Cantilever with High Resistivity and Improved Temperature Sensitivity for Nanotopography Sensing.” He is currently with Texas Instruments. Ryan McLaren received the M.S. degree from the University of Illinois in 2009. His thesis was “Thermal Conductivity Anisotropy in Molybdenum Disulfide Thin Films.” He is currently with Globe Motors. Ashwin Ramesh received the M.S. degree from the University of Illinois in 2012. His MS thesis was “Friction Characteristics of Microtextured Surfaces under Hydrodynamic Lubrication.” He is currently with Lam Research. Hanna Cho received the Ph.D. degree in Mechanical Engineering from the University of Illinois in 2012. During the period 2012-2013 she was a postdoctoral research associate at University of Illinois. She is currently on the faculty at Ohio State University. Zhenting Dai received the Ph.D. degree in Physics from Georgia Institute of Technology in 2006. During the period 2007-2010 he was a postdoctoral research associate at University of Illinois. He is currently with Intel. Kyoung Joon Kim received the Ph.D. degree in Mechanical Engineering from the University of Maryland College Park in 2006. During the period 2006-2007 he was a postdoctoral research associate at the University of Illinois. Byeonghee Lee recieved the Ph.D. degree in Mechanical engineering from Seoul National University in 2010. During the period 2011-2012 he was a postdoctoral research associate at the University of Illinois. Myunghoon Seong received his Ph.D degree in Mechanical Engineering from the University of California, Los Angeles in 2009. He worked on parallel topography imaging with large heated cantilever arrays as a postdoctoral research assosicate at the University of Illinois. Fuzheng Yang received the Ph.D. degree in Mechanical Engineering from University of Connecticut in 2002. During the period 2005-2007, he was a postdoctoral research associate at the University of Illinois. He is currently with Caterpillar. Yan Wu received the Ph.D. degree in Electrical Engineering from the University of Illinois. During the period 2007-2009, she was a postdoctoral research associate in at the University of Illinois. She is currently on the faculty at University of Wisconsin Platteville.